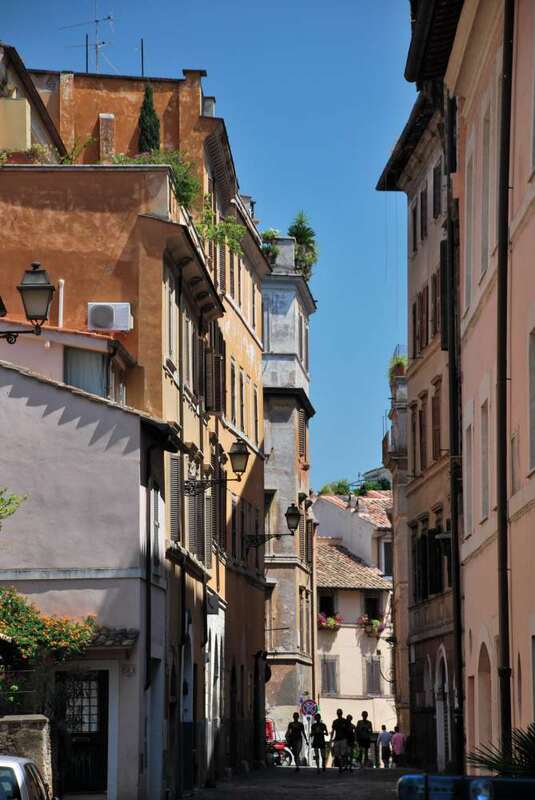 Explore Trastevere, an unmissable neighborhood in Rome. All the info you need to enjoy this lovely area, including pictures and Google map. 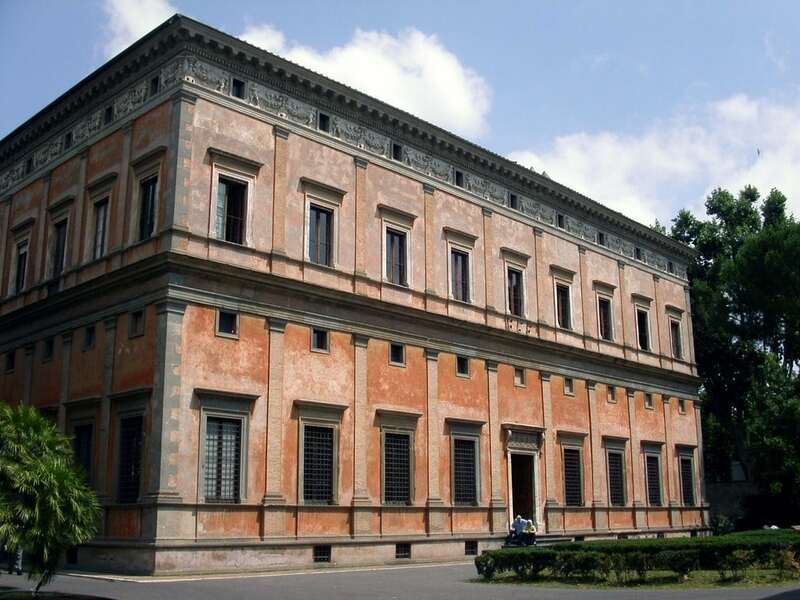 Have you ever dreamed to discover what Rome looked like a couple of centuries ago? Narrow stone paved streets lined by medieval houses? 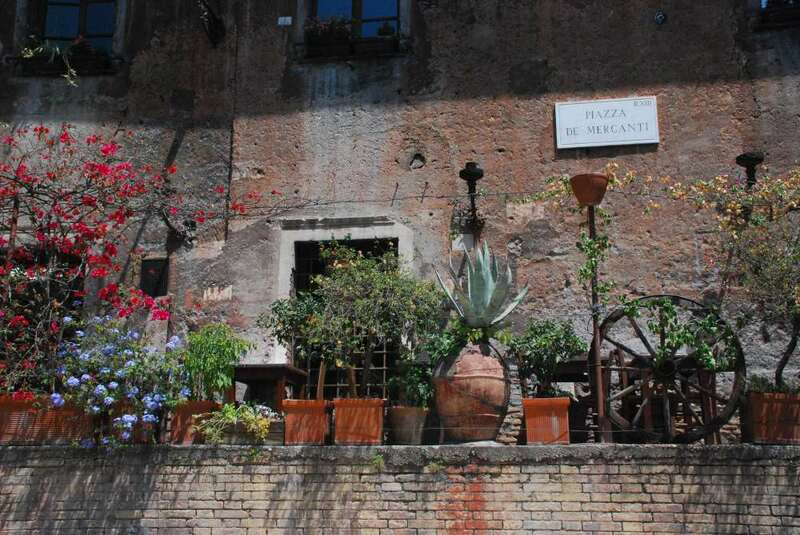 Then take a Trastevere walking tour to enjoy this charming medieval neighborhood full of romance and history. My Trastevere walking tour Google map will help you find your way in the maze of this unique district. 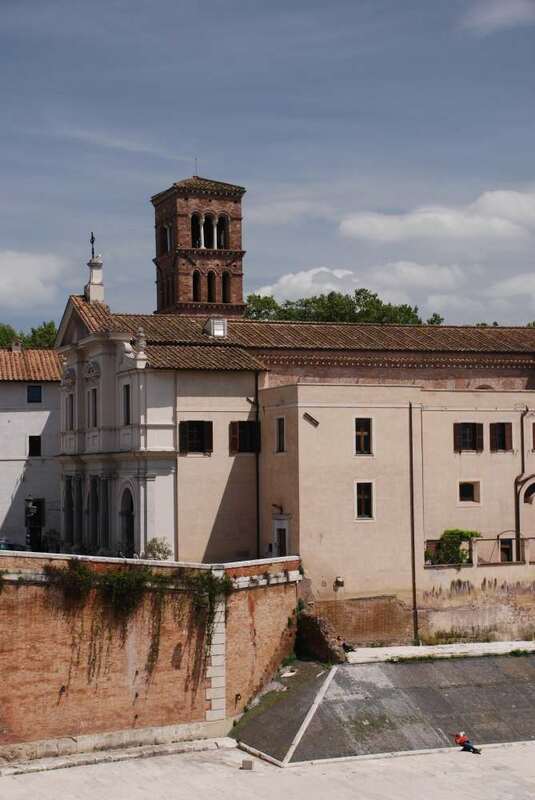 Trastevere is named for its position ‘over the Tiber’. 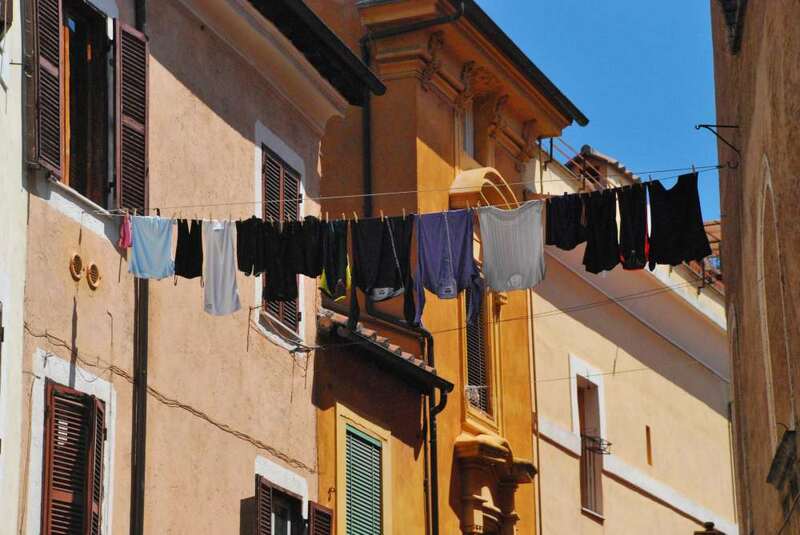 Separated from the heart of central Rome by the river, the area retained its narrow lanes and working-class population when the rest of Rome began its nineteenth-century expansion. Despite its being a major touristic destination, it has managed to preserve a strong local (and “Roman”!) identity. Therefore, it’s not too difficult to step off the main routes and escape the masses. 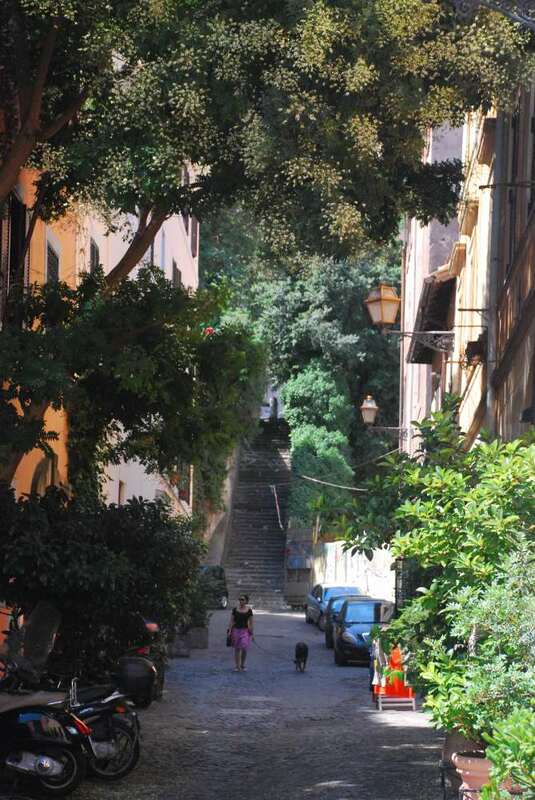 To make sure you have Trastevere all for yourself, plan your visit in the morning and take some time to walk out of the beaten path. 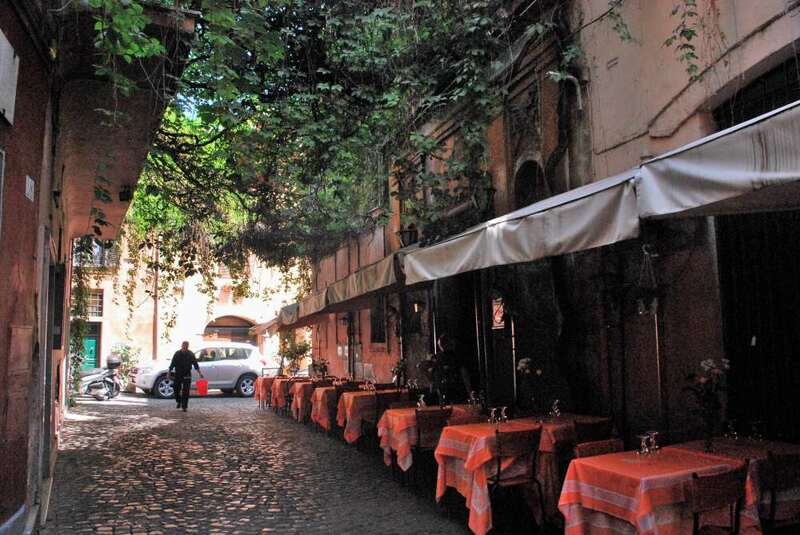 Trastevere could also be an interesting district to spend your days in Rome: it’s a charming neighborhood, close to the city center and to St Peter. 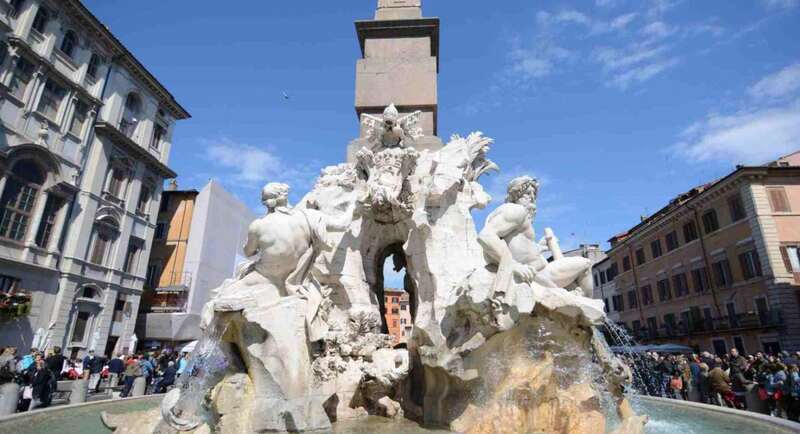 You should consider it as you top location when looking for a place to stay in Rome. Here is the itinerary, click on the image to access google Maps for more details. 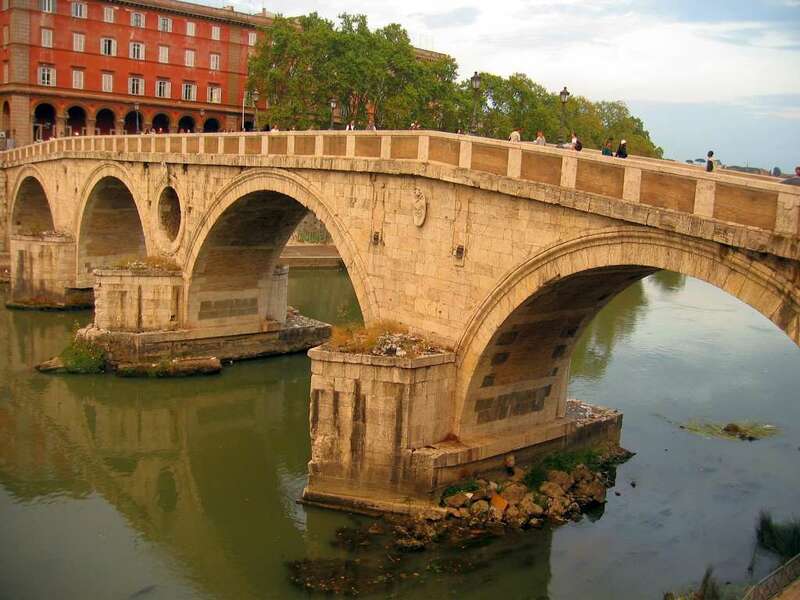 Your walking tour in Trastevere could start by crossing Ponte Sisto stone Footbridge (you can easily get there from Campo de Fiori, after visiting its bustling market). Just in front of Ponte Sisto you will find Piazza Trilussa, one of the main gathering places of the Roman night life. 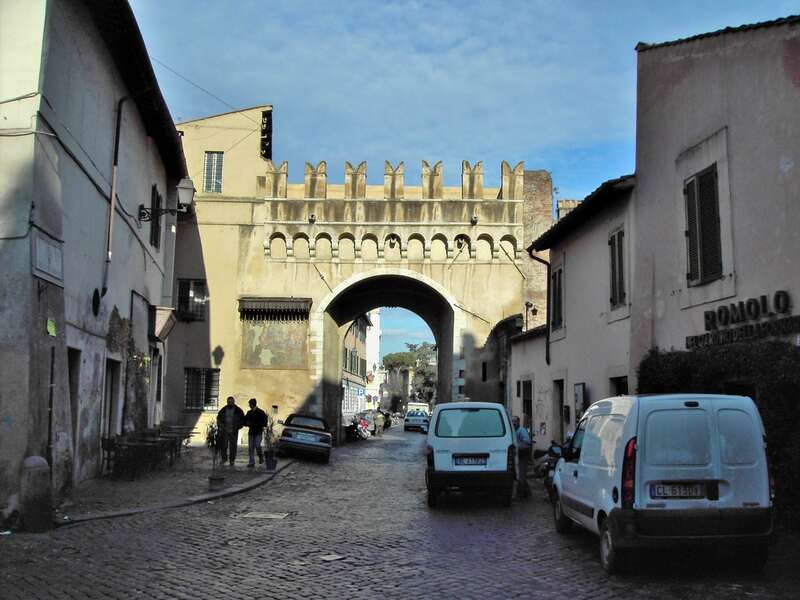 Keep walking on your right, until you get to Porta Settimiana, one of the 3 ancient gateways in the Aurelian walls on this side of the river. Porta Settiniana, leading to via della LungaraStroll through Porta Settimiana to via della Lungara, and after 300 meters you will find a totally neglected Trastevere Jewell: Villa Farnesina. 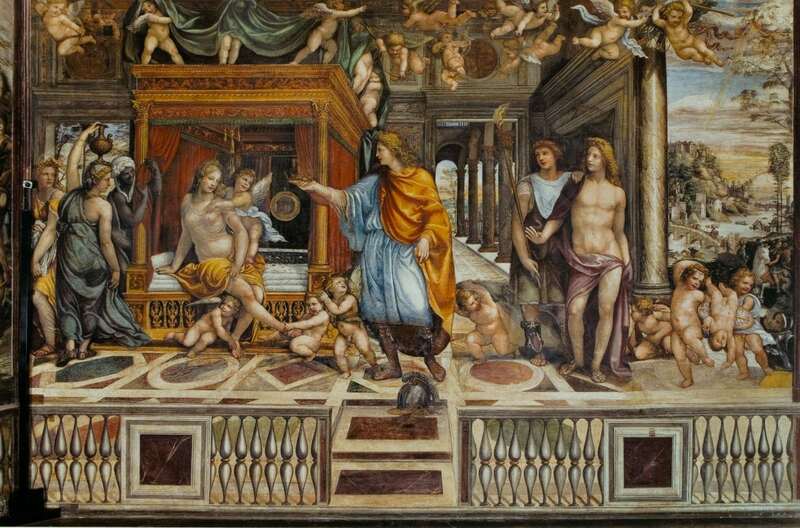 This opulent Renaissance villa, is home to many incredible frescoes by artists such as Raphael. The entry ticket is definitely worth the price, especially after the recent fresco restoration. Coming back to Porta Settimiana, notice on your left Palazzo Corsini, a baroque palace with a collection of antique art by Titian and Caravaggio and, at the end of via Corsini, the second hidden Jewell of this itinerary: the Orto Botanico (botanic garden), an oasis with more than 7000 plant species, and a perfect place to take a rest. 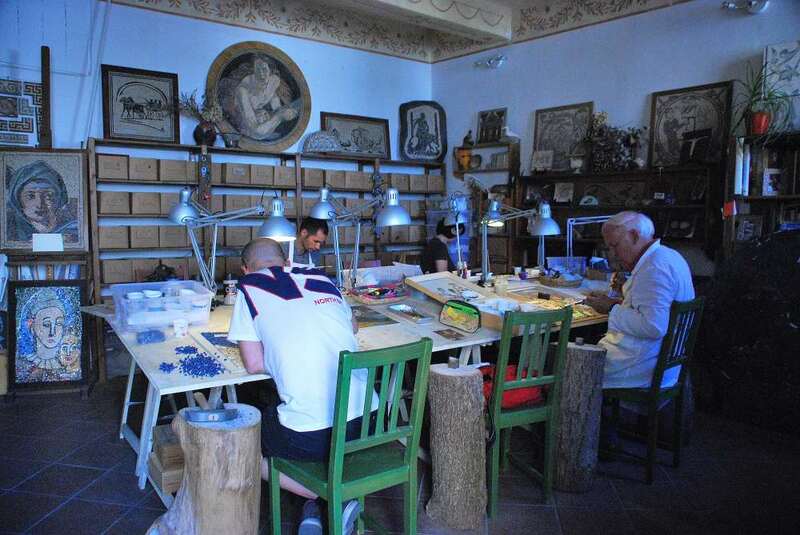 Coming back in via Corsini, take a look at the mosaic workshop on your right, Aegea Mosaics. Watching the skilled artisans at work is simply fascinating. Aegea Mosaics also organizes courses, including “intensive” day courses – from 2 to 7 hours. 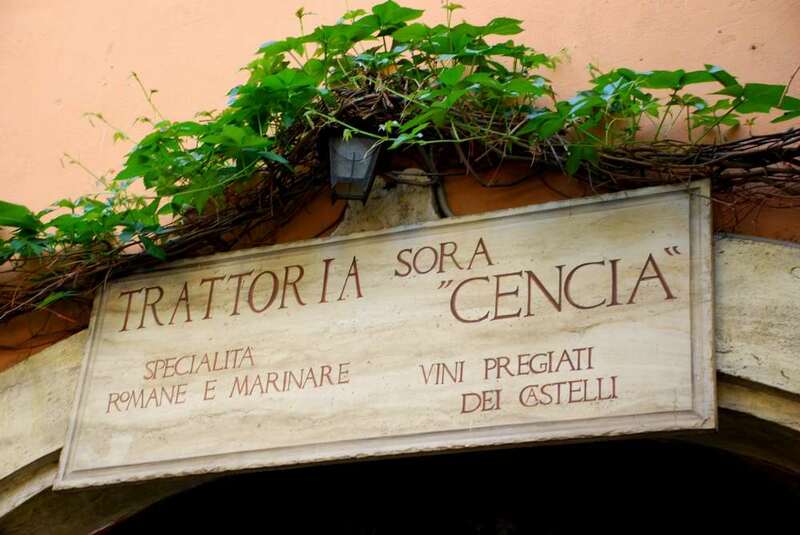 From here, get back to via della Lungara, heading towards Santa Maria in Trastevere church, and loose yourself in the fascinating maze of narrow lanes at Trastevere’s heart. Plants scramble down walls from garden terraces. Flowers hung to the old walls and washing hangs out to dry. Chipped Virgin Marys look down from shrines on street corners. Don’t be afraid: get off the main routes and discover the many touches of authentic local color! 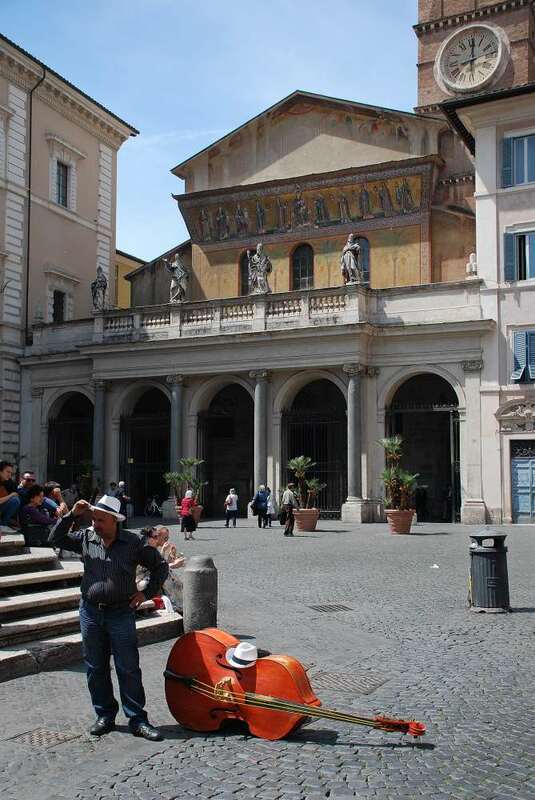 Eventually, the beautiful square of Santa Maria in Trastevere will appear to your right. The square is a lovely and lively place, full of locals, tourists and buskers. 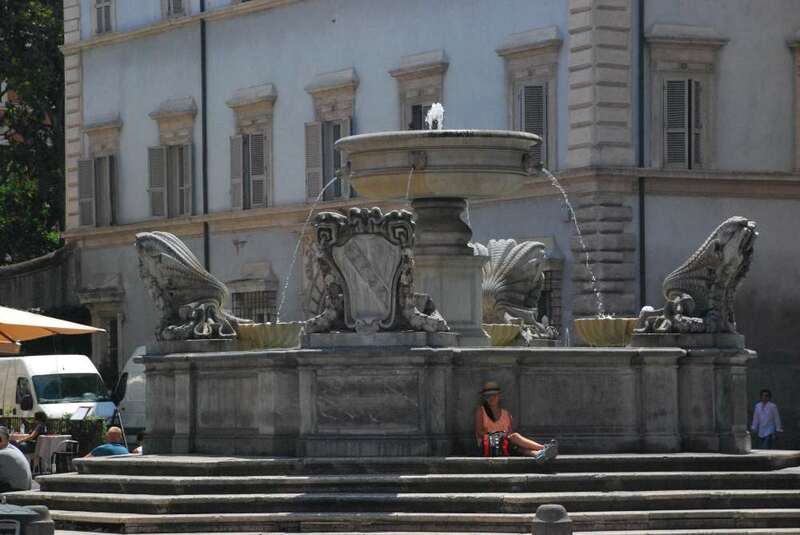 You can take a seat in one of the pricey cafés along the square or simply sit on the steps of the central fountain: both are great places for people-watching and to look at buskers exhibitions – some are really good. 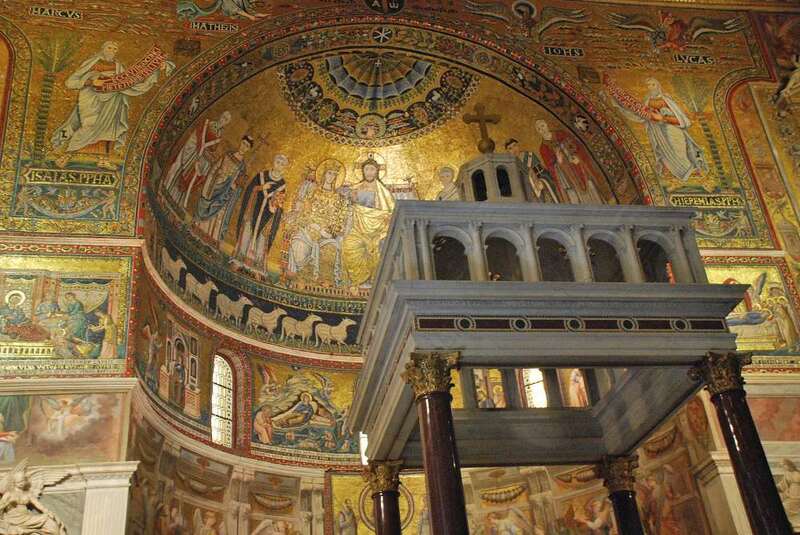 The square is dominated by 12th-century Basilica di Santa Maria in Trastevere, one of the oldest Churches of Rome (the basic floor plan and wall structure of the church date back to the 340s), and perhaps the first in which Mass was openly celebrated. Inside the church are a number of late 13th-century mosaics by Pietro Cavallini on the subject of the Life of the Virgin (1291) centering on a “Corontation of the Virgin” in the apse. 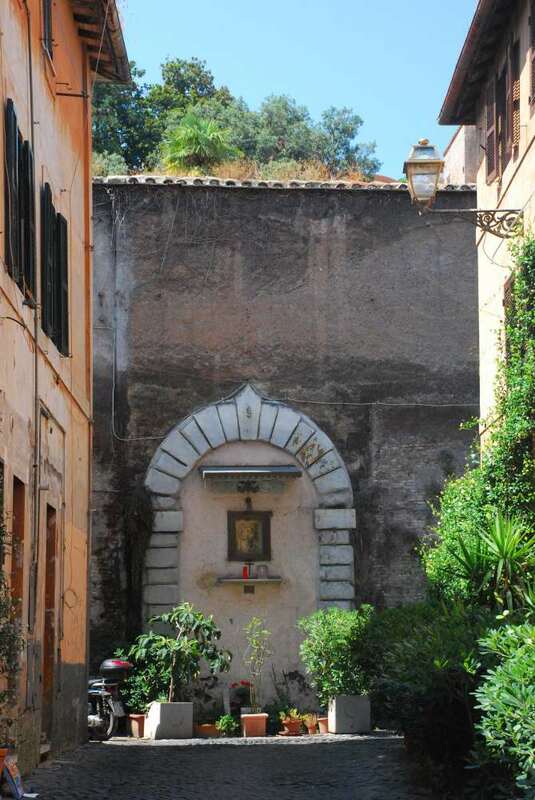 After your visit to the basilica, walk along via della Lungaretta towards Viale Trastevere. 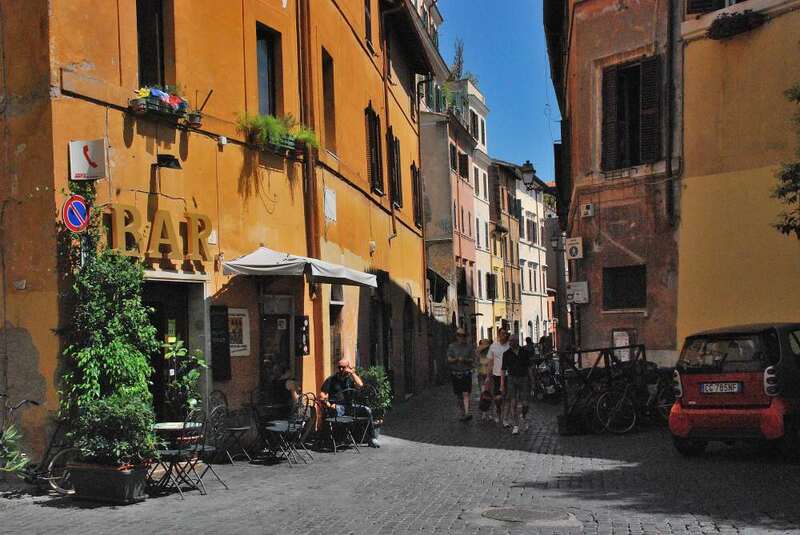 This busy street has countless restaurants, popular with both Romans and tourists. 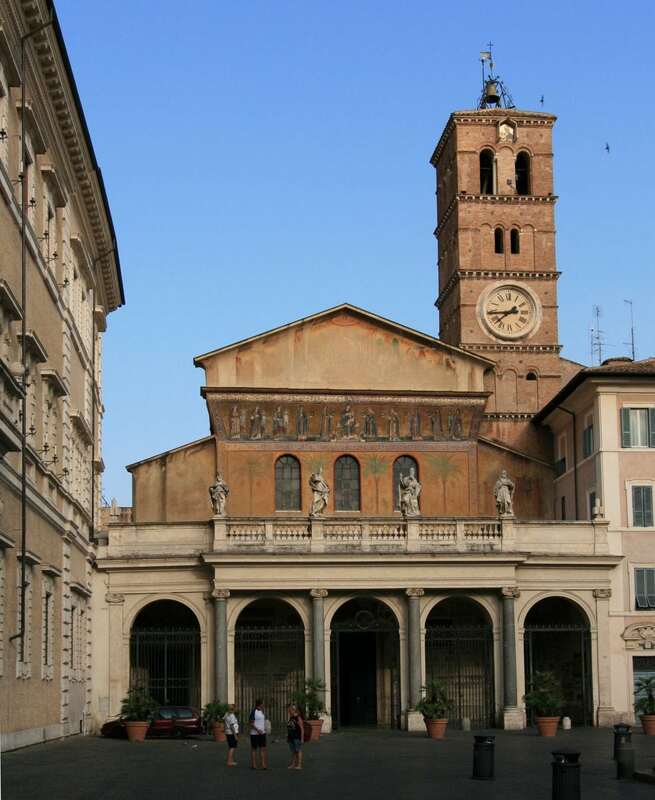 Now cross Viale Trastevere to discover the fourth highlight of this walk: the church of Santa Cecilia. 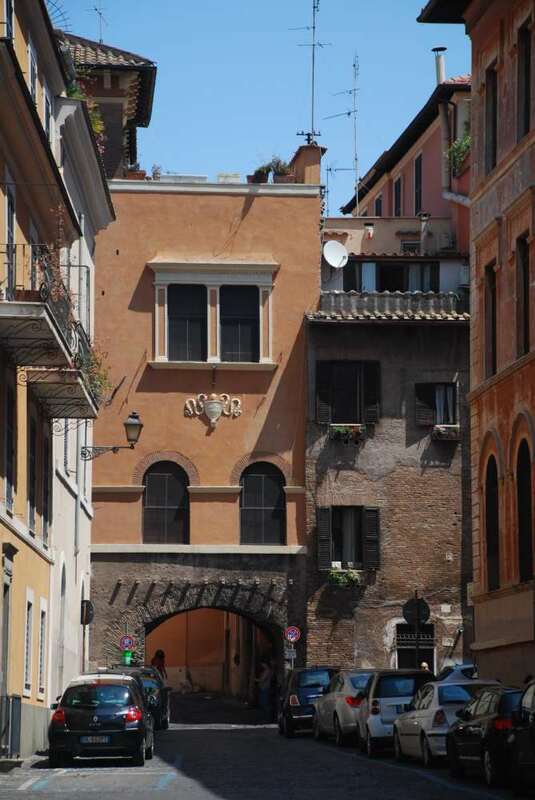 The neighborhood south to viale Trastevere is much more quiet, and among the medieval houses you will be able to spot ancient roman remains. 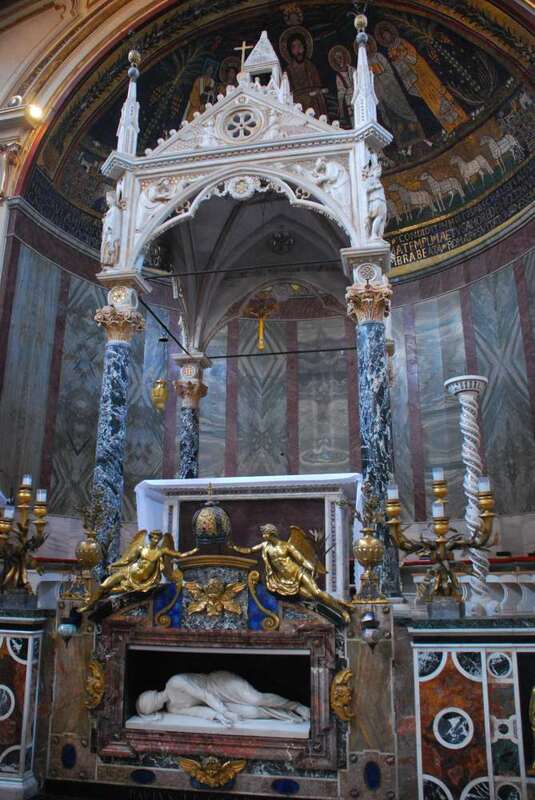 The church of Santa Cecilia in Trastevere is one of Rome’s more interesting churches. 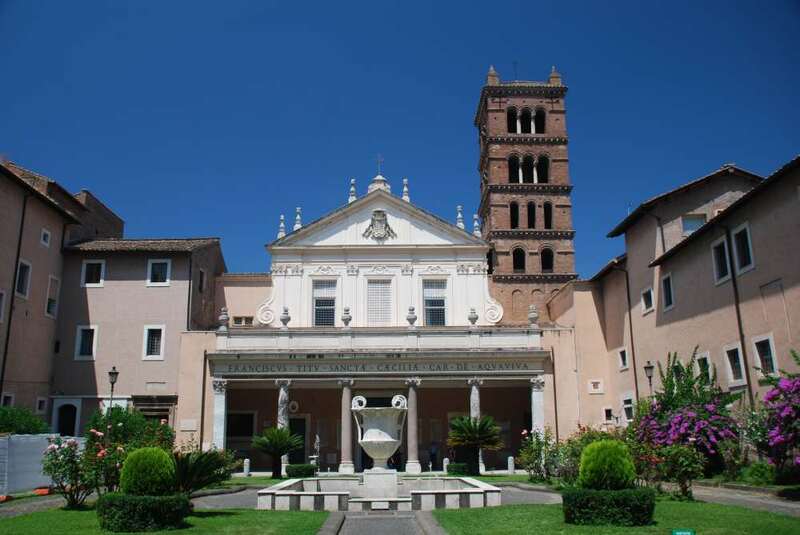 The Basilica di Santa Cecilia was built on top of the saint’s house. In the year 230 Santa Cecilia supposedly survived decapitation for three days. 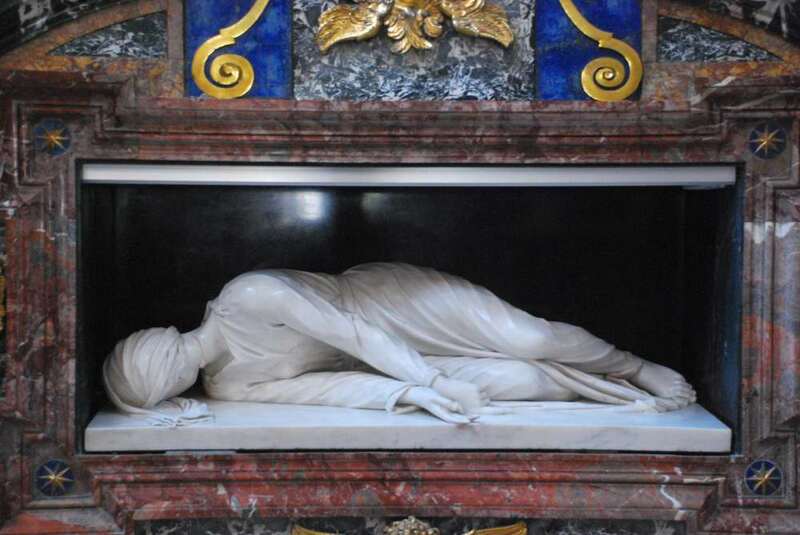 Legend says that when her tomb was opened in 1599 her body was in-corrupt. Indeed, the statue by the altar is based on the undecayed body found in her coffin in the sixteenth-century. 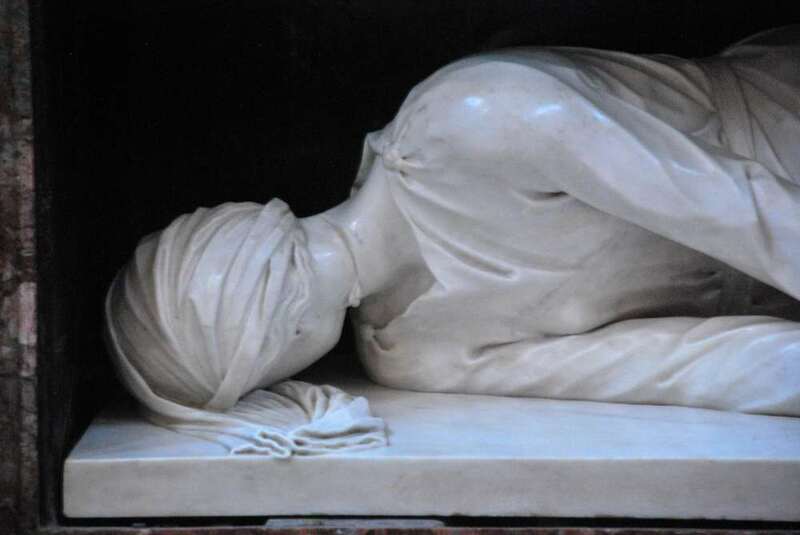 The young martyr statue, her face covered by voile and turned down to the ground, is a touching masterpiece. 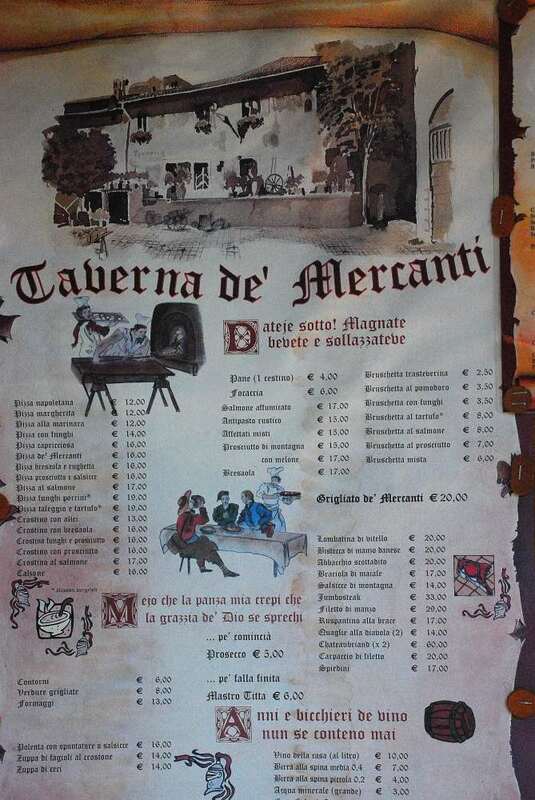 Once out of the church, walk to nearby romantic Piazza dei Mercanti, where you will find two nice restaurants (typical… and rather touristic). 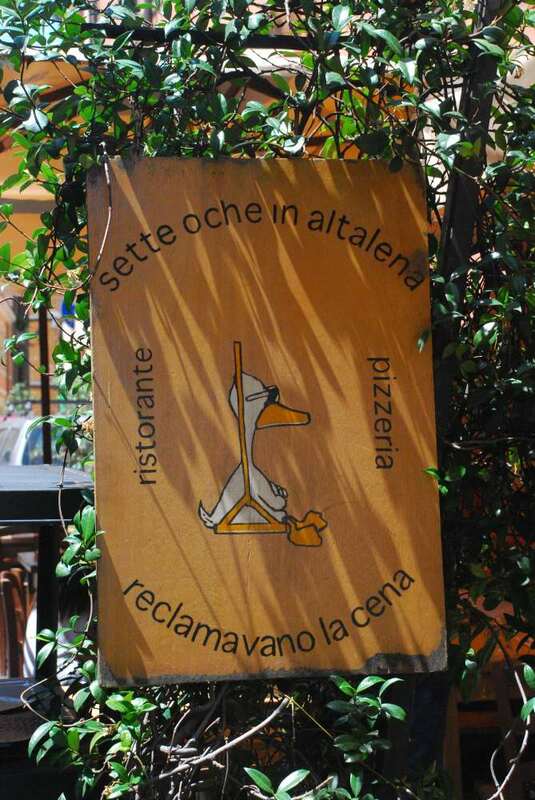 Otherwise, stop for a rest and to taste some traditional roman dish at the Roma Sparita restaurant, in Pizza Santa Cecilia. 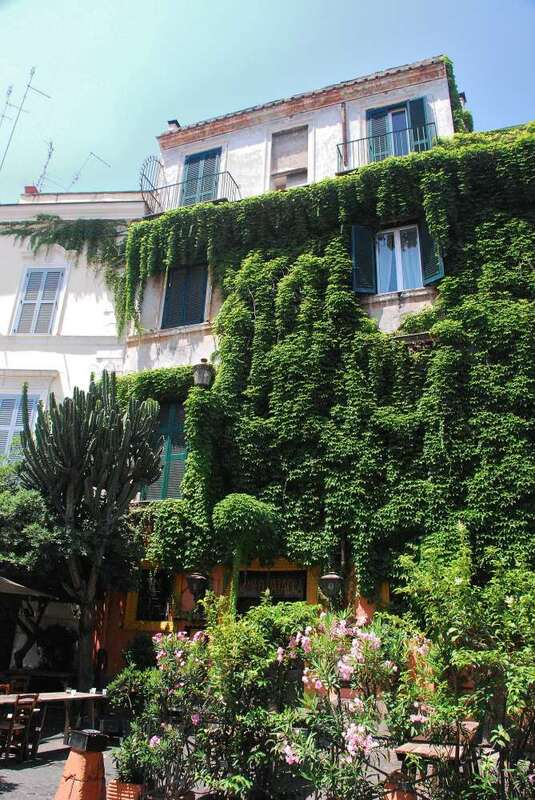 Coming back to Viale Trastevere, enjoy this quiet neighborhood. 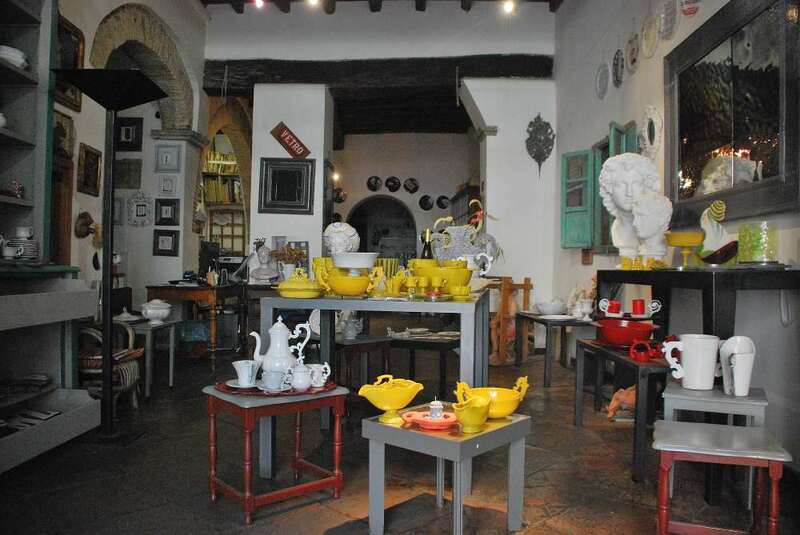 Take some time to browse through the original and fancy boutiques and workshop that dot the area. 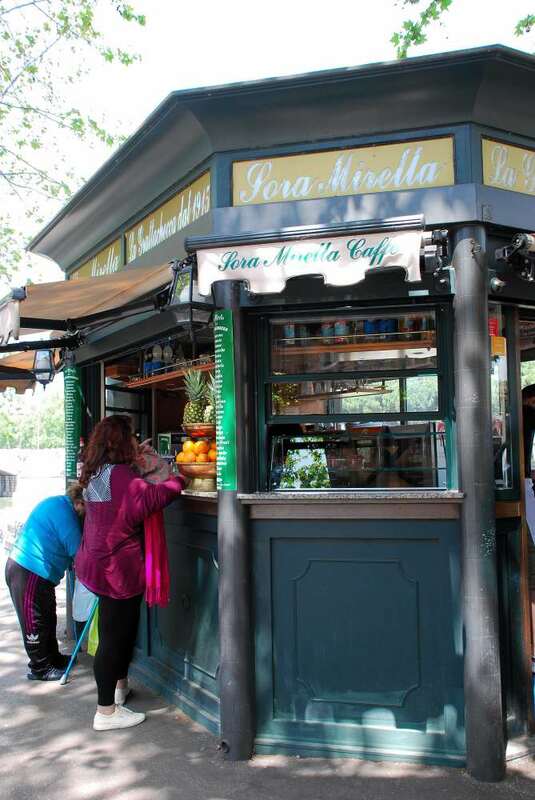 Once on the Tiber shore, at the crossing with Viale Trastevere, you can’t Miss the Sora Mirella Grattachecca kiosk. 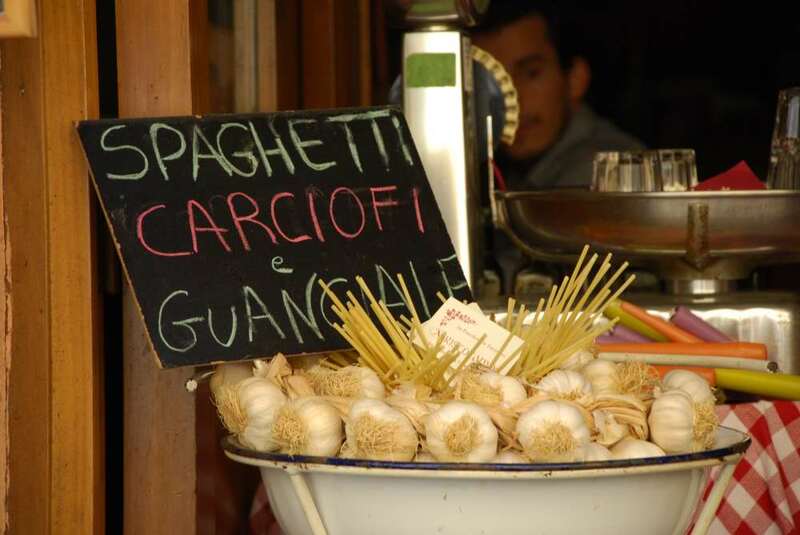 Grattachecca is an old, traditional Roman delicacy, today almost disappeared. 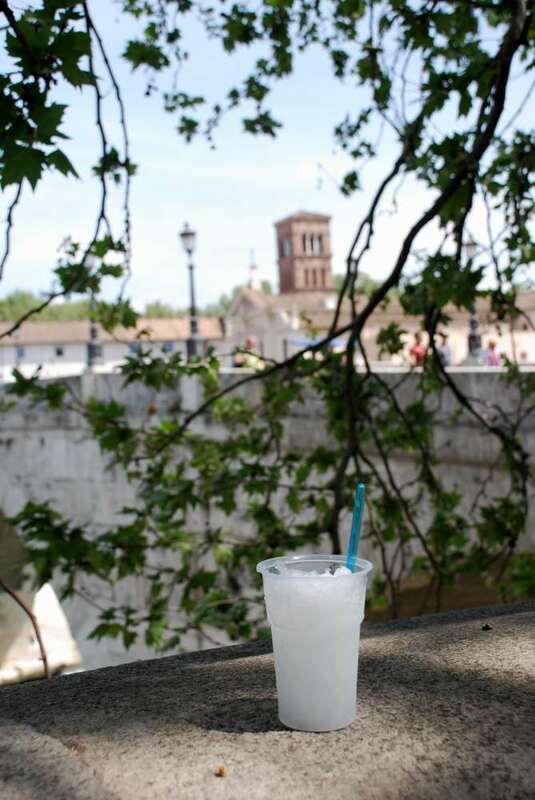 To make a Grattachecca you take a huge block of ice (“Checca” in Roman dialect). Then you grate it with the specific tool (“gratta”) until you have enough grated ice to fill a large glass. Eventually you put syrup on it (lemon, mint, strawbery, well, actually whatever flavor you like. Here is your delicious and refreshing Grattachecca! 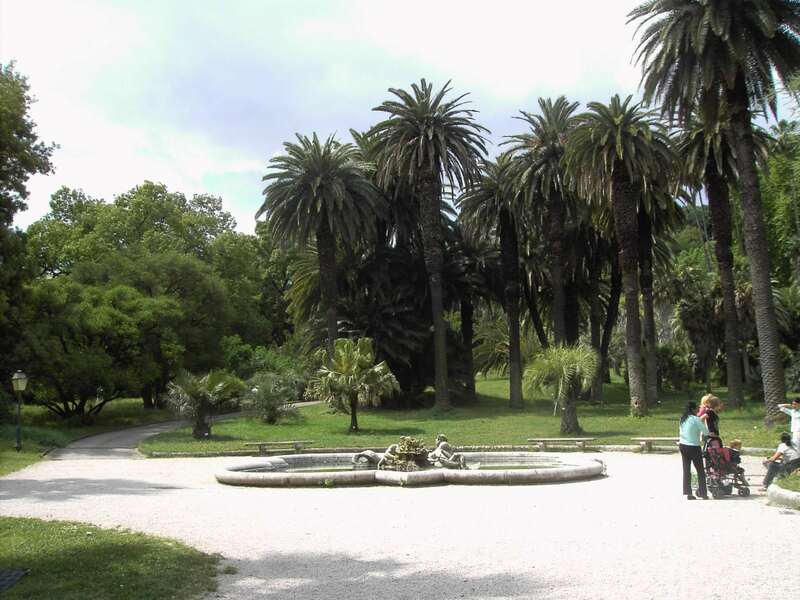 After your reinvigorating Grattachecca, you are now ready to visit adjacent Isola Tiberina. Fom there you can continue to the old Jewish Ghetto, the Palatino or, to lazily lay down and have a well deserved nap (“pennichella”, in Roman dialect). 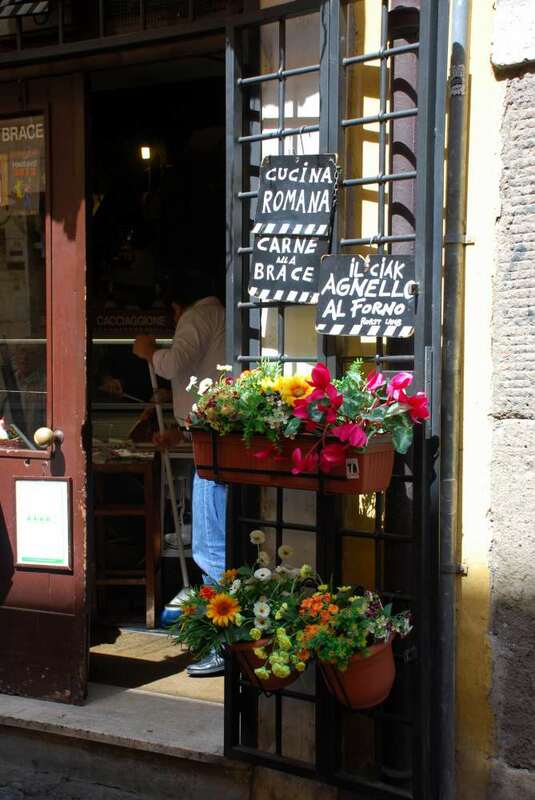 Enjoy your Trastevere walking tour! 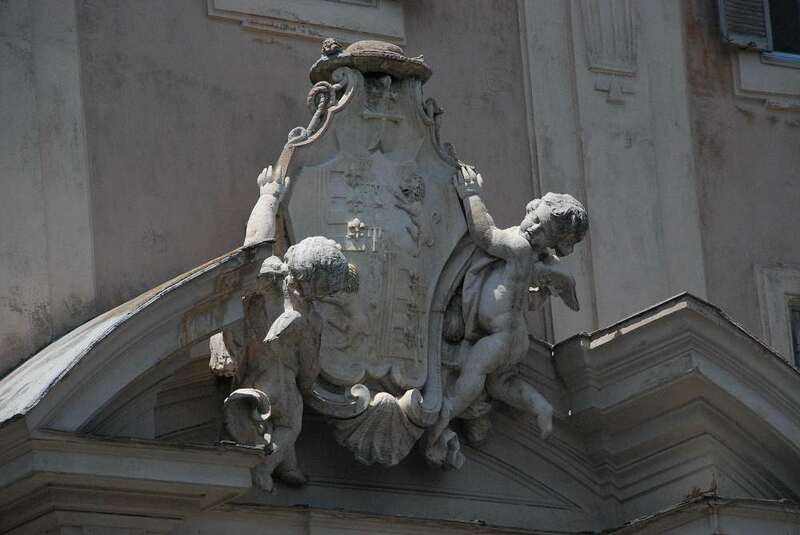 I have been to the church of St Cecelia, but somehow I missed the lovely sculpture of her…I will be back, thank you. Jean-Pierre you’re a wonderful guide through Trastevere, we’ll remember, thank you! Thanks Nadine, It was a pleasure to walk you around! The walk gave some useful information about less well known places to visit which we enjoyed. 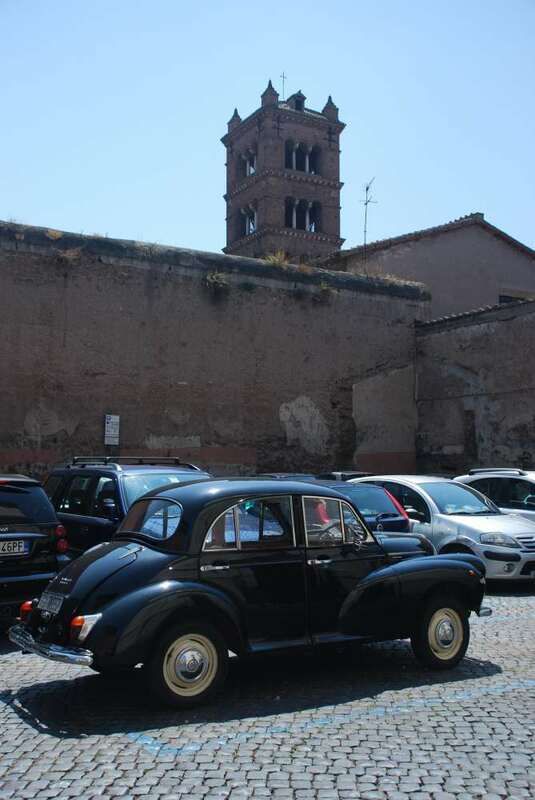 However we got lost in the maze of streets which took us through some “not so picturesque” areas and when we finally arrived at St Cecilia’s church at 15:30 hrs on Wednesday it was unfortunately closed to the public. So sad! Hope you enjoyed at least the rest of the tour. Great tour! Too bad I can’t open the map in Google maps. This means I can’t do this walk. Hi Joey, the image is now linked to Google Maps. Enjoy your walk! Perfect, thank you so much! 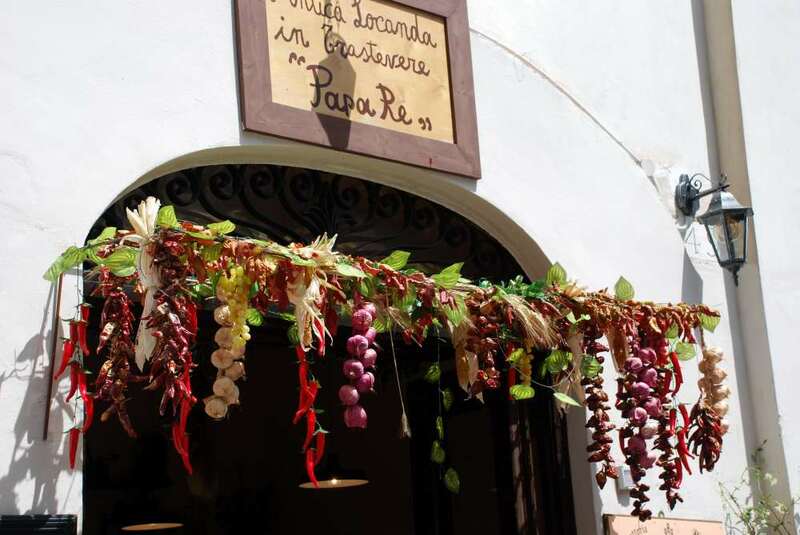 What’s your opinion about the fresh market at Piazza di San Cosimato? Should I add to the route? Thank you.